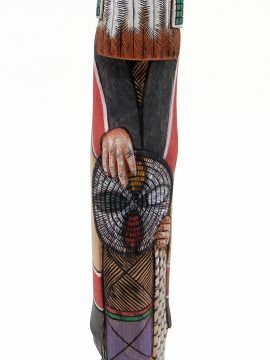 The Chief Kachina, said to represent great power of knowledge, is depicted in this hand carved Navajo kachina by Harrison Jones. 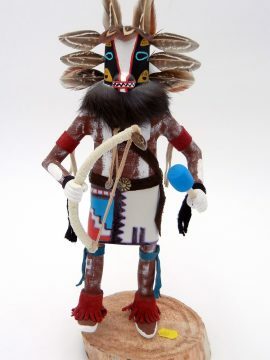 The piece, carved out of cottonwood and set on a pine base, features a round, brightly painted head in yellow, red, black, and white, which is surrounded by brown feathers along the top and by white fur along the bottom. 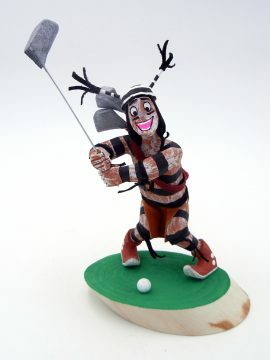 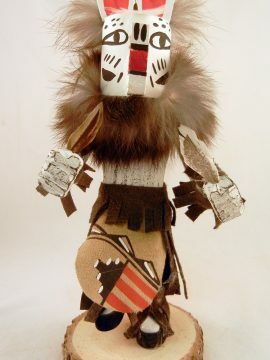 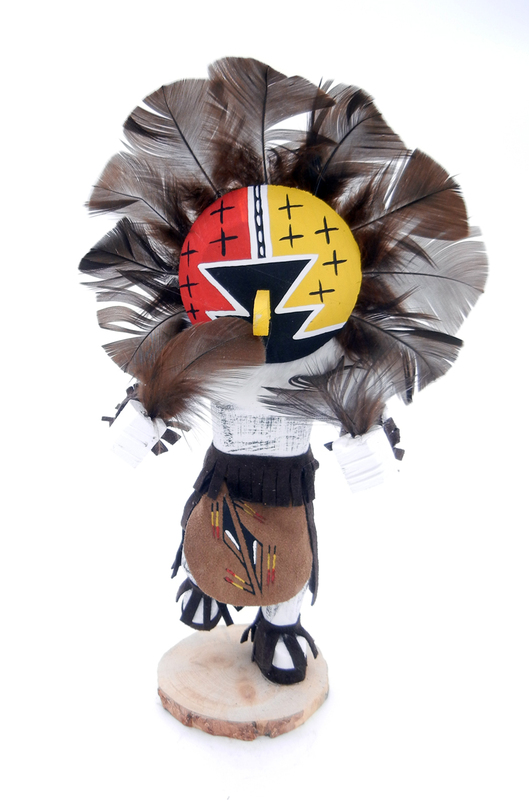 The kachina’s body is painted white and black, covered along the bottom half with brown leather painted in traditional feather designs in black, white, red, and yellow. 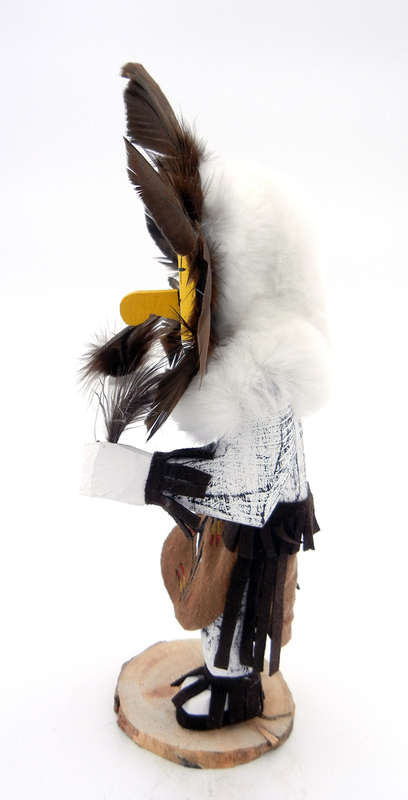 The Chief holds a feather in each hand, brown leather wrapped around its wrists. 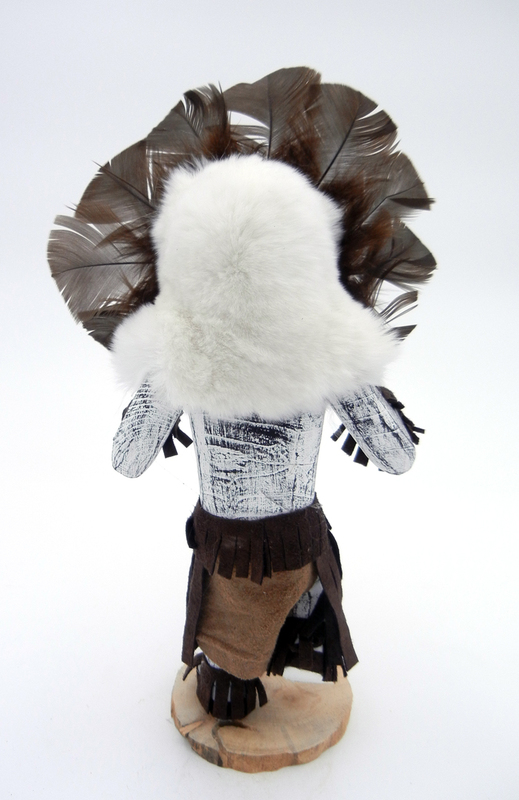 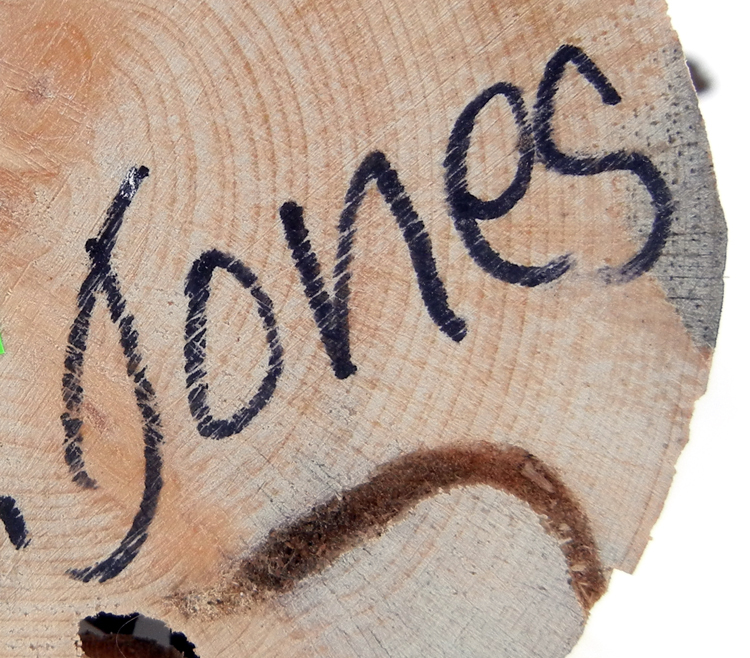 11″ tall x 5″ wide.